Studio use is for Players activities only. 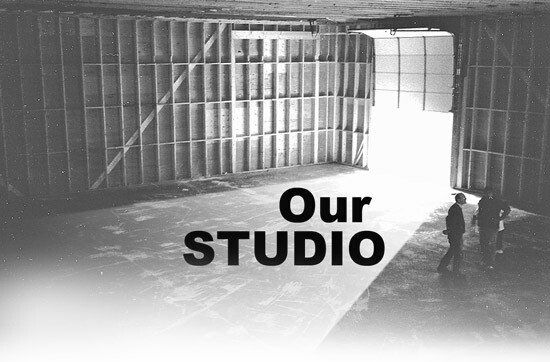 Rehearsals, shop time, and any use by other groups (only in conjunction with our mission statement) must be arranged in advance by contacting Studio Scheduling. 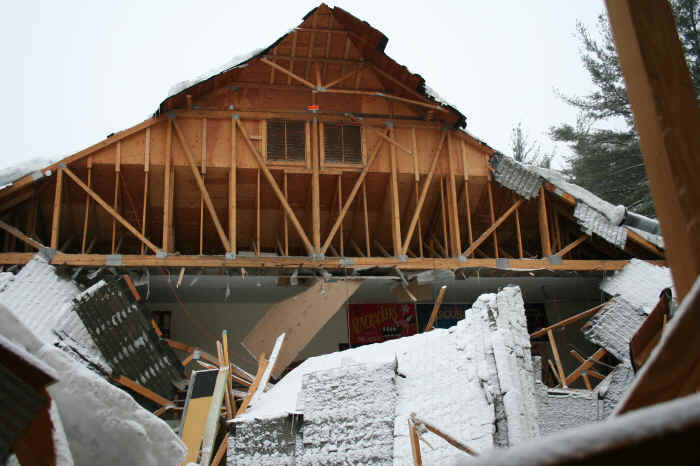 At 11:18 am on February 8, 2008, the roof of the workshop portion of the Players Studio collapsed. Thankfully no one was in the Studio at the time, but the set of our Feb 14-16, 2008, production of The Odd Couple — two months in the making — was destroyed, and most of the show’s props were lost. Incredibly, the set was rebuilt, props were re-gathered or remade, and the Players production The Odd Couple when on as scheduled. Our May 2008 production of The Full Monty was postponed to our 2008-09 season and we replaced The Full Monty with The Fantastiks, using borrowed rehearsal space and taking advantage of the shows minimal set design. The show was a success and in July of 2008 the studio re-opened to begin our 81st season. Thanks to all who participated in resurrecting our studio! Take Interstate 93 to Concord, NH. Get off at exit 15 for Interstate 393 East. Take I-393 to exit 3 for Route 106. At the end of the exit ramp make a left (crossing over the highway), onto 106 North toward Loudon. After crossing the highway, take the next left onto Autumn Drive. At the end of Autumn, turn right on Josiah Bartlett Road. Watch on left for an (unlighted) sign marking the driveway to the Players’ Studio. Directed by Steve Lajoie and Jim Webber.